The second-quarter 2018 reporting cycle is displaying encouraging trends with notable momentum on the revenue side, positive surprises and impressive estimates for the to-be reported quarter. Per the latest Earnings Preview, second-quarter earnings of S&P 500 companies are anticipated to be up 21% from the year-ago quarter on revenues that are estimated to increase 8.3%. Notably, the first quarter witnessed 24.6% increase in earnings and 8.7% growth in revenues, the highest in the last seven years. Notably, the Technology, Finance, Energy, Basic Materials sectors are expected to come up with an impressive quarterly performance. We believe a surge in demand for data centers and cloud-based platforms has aided earnings growth. Demand for augmented/virtual reality devices, advanced driver assisted systems (ADAS), Artificial Intelligence (AI) solutions and Internet of Things (IoT) related software has also increased, leading to the splendid figures. Three S&P technology stocks reported their second-quarter results in the last two days, namely Cadence Design Systems CDNS, Waters Corporation and Alphabet Inc. GOOGL. Cadence Design’s year-over-year revenue growth was driven by robust adoption of the company’s digital and signoff, custom and analog, and IP solutions and an expanding customer base. Waters Corp. benefited from the performance of Waters and TA product line as well as improved operational efficiency during the quarter. Alphabet reported better-than-expected results on the back of strength in mobile search. Also, healthy growth in network revenues, hardware, cloud and Play aided revenues. Notably, for the ongoing reporting season, total earnings of technology companies are expected to increase 23.5% on a year-over-year basis while total revenues are anticipated to increase 11%. Our research shows that stocks with a Zacks Rank #1 (Strong Buy), 2 (Buy) or 3 (Hold) and a positive Earnings ESP have high chances of beating earnings estimates. You can uncover the best stocks to buy or sell before they’re reported with our Earnings ESP Filter. We believe that the growing need for Internet consumption globally will primarily drive domain names registered with VeriSign VRSN. Additionally, renewal of contracts and price hikes for the domain names will continue to drive the company’s top line. The company is the exclusive registrar of the .com, .net and .name domains per its agreements with The Internet Corporation for Assigned Names and Numbers (ICANN). This is expected to be another top-line booster. However, the negative impact of search engine adjustments on domain monetization and increasing operating expenses related to sales and marketing remain primary headwinds. 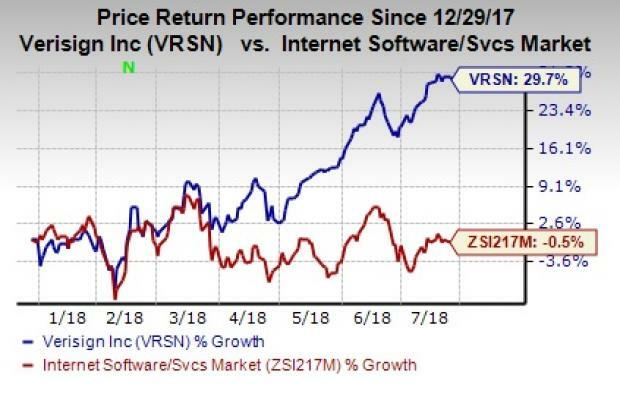 Verisign stock has gained 29.7% year to date against the 0.5% decline of the industry it belongs to. Tyler Technologies TYL, a provider of integrated information management solutions and services to the public sector, is expected to gain from an expanding customer base in its second-quarter 2018 results. During the quarter, the company added a few notable names in its clientele namely, the Municipality of Anchorage, AK and city of Fort Worth, TX. The company’s acquisition of Sage Data Security is expected to enhance the company’s cybersecurity capabilities and drive growth. 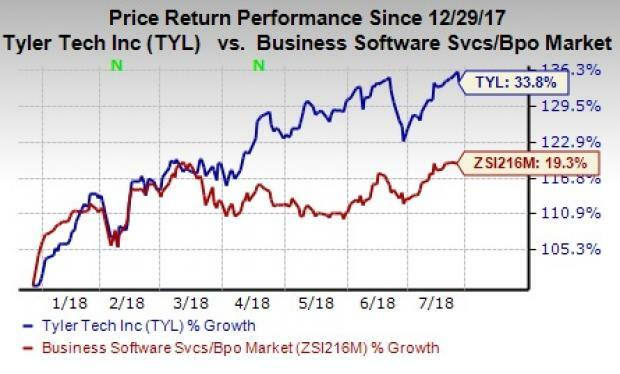 Tyler Technologies has an Earnings ESP of +0.38% and a Zacks Rank #2, which indicates a likely positive surprise. Tyler Technologies stock has rallied 33.8% year to date against the 19.3% gain of the industry it belongs to. 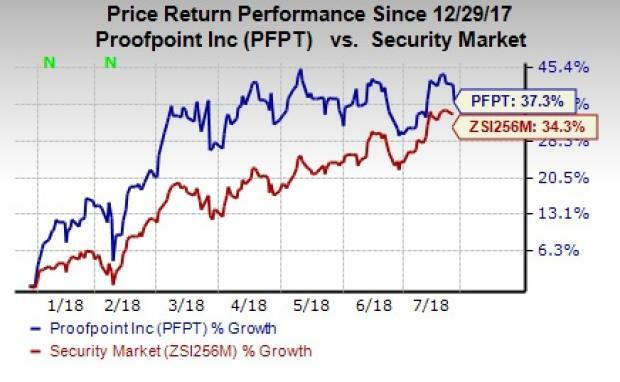 Proofpoint PFPT continues to benefit from increasing demand for cyber-security solutions. For the last few quarters, Proofpoint has been witnessing solid demand for its cyber-security suites from enterprises, which are transitioning to cloud, particularly to Microsoft’s Office 365. We believe that continued focus on subscription-based products and services and product upgrades will boost its top line. However, Proofpoint incurs heavy investment to enhance its sales and marketing capabilities, particularly by expanding the company’s sales force to survive in the highly competitive cyber-security market. 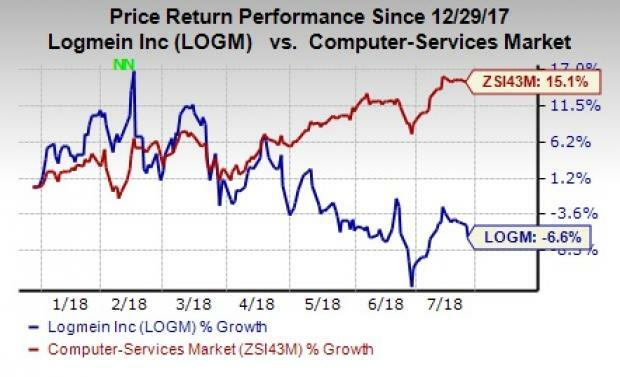 We believe LogMein LOGM, a provider of on-demand, remote-connectivity and support solutions to small businesses, IT service providers and consumers will gain from its partnerships with companies providing Unified Access Management solutions in the second-quarter 2018 results. Its collaboration with OneLogin is worth mentioning in this respect. Additionally, the company’s acquisition of Jive Communications, a prominent name in the Unified Communications-as-a-Service (UCaaS) space is expected to be another top-line booster for the company. LogMein has an Earnings ESP of 0.00% and a Zacks Rank #3. LogMein stock has lost 6.6% year to date against the 15.1% increase of the industry it belongs to. Atlassian Corporation TEAM, which is engaged in designing, developing, licensing and maintaining of software and the provisioning of software hosting services, is expected to benefit from continuous client wins on the back of a diverse product portfolio. Atlassian added 6,587 new customers during the last reported quarter, finishing the period with 119,158 customers on active subscriptions or maintenance agreements. However, surging expenses continue to be a drag on its margins and the bottom line, which partly dampened the company’s adjusted earnings expectation for the soon-to-be reported fourth-quarter 2018 results. 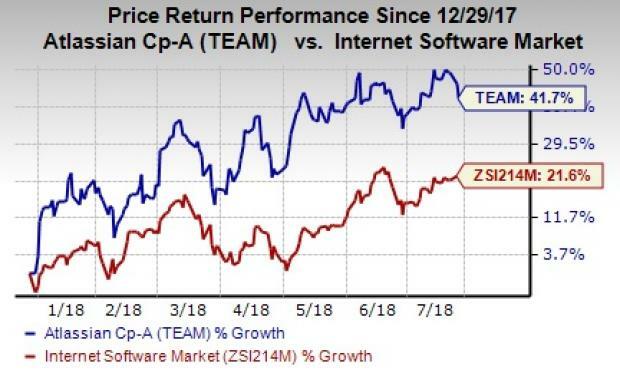 Atlassian has an Earnings ESP of +3.12% and carries a Zacks Rank #3, which indicates a likely positive surprise. Atlassian stock has rallied 41.7% year to date compared with 21.6% increase recorded by the industry it belongs to.